At HealthEngine we are all about being part of the wider community. Our team are all encouraged to participate in health related issues and advocacy that interests them and to which their expertise adds a valuable contribution to the community. Today we share a blog post about StreetDoctor and one of HealthEngine’s Founders, Dr. Marcus Tan who chairs the Medicare Local that operates this great service. Street Doctor is a Perth based initiative that is now being modelled by others around the nation providing a welcoming, non-discriminatory, mobile, medical clinic with friendly staff who have been specially chosen for their passion and commitment to improving health outcomes of disadvantaged and homeless people. Not enough can be written about Western Australia’s homelessness – it is a catastrophe, the worst in the nation and dramatically disproportionate for Aboriginal peoples. Perth’s homelessness problem is an out of sight out of mind story – several years ago a homeless Aboriginal man set himself alight and burnt to death in a major Perth park, however little was reported in the mainstream news media. Earlier this year a homeless man, sleeping in an alleyway, was killed after a garbage truck drove over him while he was asleep – once again little reported by news media. Forty per cent of Perth’s homelessness are Aboriginal peoples with lives so broken by racism most of them do not seek aid from services such as soup kitchens and mobile health clinics. The mining boom state of Western Australia, with the nation’s highest median wages, has an increasing Aboriginal homelessness problem. A recent government funded survey conducted by the not-for-profit RUAH organisation indicated 40 per cent of Perth’s homeless were Aboriginal people even though the State’s Aboriginal population is less than 3 per cent of the State. Street Doctor, a mobile health van which treats one person after another for ailments such as festering wounds from sleeping rough, is one way that the homeless can get the help they need. Imagine…… you are sick, in pain, and feeling down. You need to see a doctor but feel confused, judged and intimidated by mainstream medical services. Where do you go? 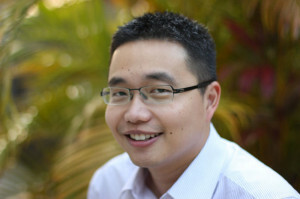 The aim of Street Doctor is to improve health outcomes and reduce hospitalisation for disadvantaged people of all ages. 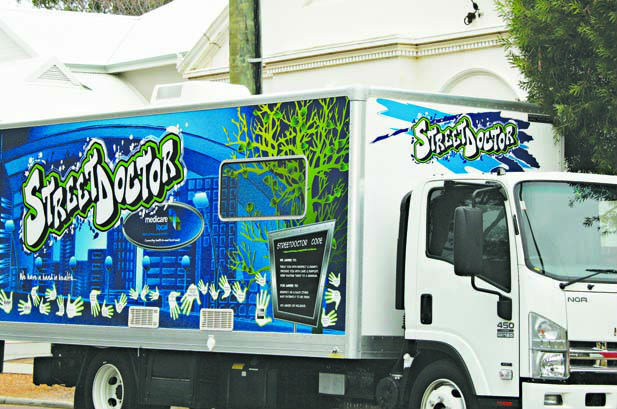 Street Doctor has been in operation since 2001 and is a fully accredited, bulk-billing (no cost to patient) service. Consists of a multidisciplinary team of General Practitioners, Registered Nurses and Outreach Workers. Similar to a general practice only mobile and the clinic is held in the back of a specially modified vehicle. Services over 2,000 people per year and is located for easy access i.e. drop-in centres, soup patrol, etc. Provides services for marginalised populations including the homeless, refugees and Aboriginal people in the inner Perth and surrounding areas, Maylands and Midland. 40% of StreetDoctor’s patients are aged under 25 years of age. 90% of people presenting to StreetDoctor have complex mental health issues. 30% of StreetDoctor’s patients are Aboriginal. Assists patients with access to medication. For many, it’s their first contact with a GP for many, many years. The service provides human contact, a sympathetic ear and a hug if needed. If StreetDoctor cannot deliver a service, patient will be referred on, for example to an After Hours Clinic, hospital etc. Pathology: blood screening and tests (STIs).